The Village of McCord Bend recently received a grant for $4,875 to develop an AED/CPR program for the village. The funds, which were awarded by the Skaggs Legacy Endowment Grant, will be used to purchase an Automatic Electronic Defibrillation system (AED) for the village, as well as to provide CPR and usage training for approximately 50 residents, according to Mandi Carr, Trustee Chairperson for the Village of McCord Bend. “In events of sudden cardiac arrest outside of the hospital, every minute that goes by without early defibrillation and effective CPR decreased the survival rate by as much as 10 percent,” said Carr. “The premise of our program is to make early defibrillation more available in our community. Having an AED available and having more of our residents trained both in its use and in effective CPR can increase the rate of survival dramatically,” she said. Further, the closest ambulance service to the village is 12 miles away. After the first of the year, the village will begin the training process. “I want at least 50 of our residents to get the training,” Carr said. Once the planning stages for the training are more underway, residents of McCord Bend can expect to receive notices from the Village Board of Trustees with details of the trainings. “We are super excited about this project and about getting our village on board. It is always exciting to have good news to spread about McCord Bend,” said Carr. 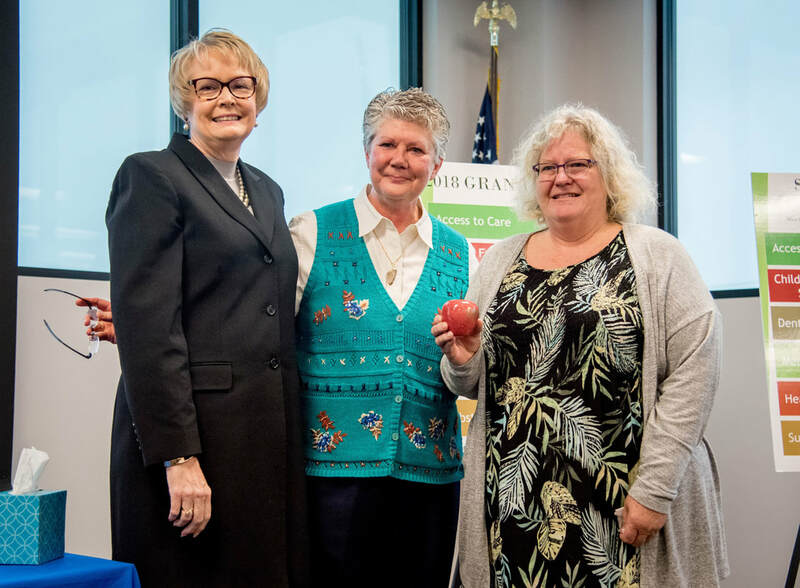 The Village was awarded the grant during a ceremony on Wednesday, October 31, at the Ozarks Technical Community College, Table Rock Campus, in Hollister. Over $700,000 in grants were awarded to non-profits and other organizations in southwest Missouri.